If you are passionate about the environment and enjoy engaging with people we would like to hear from you! We are looking for active and enthusiastic volunteers with great people skills to assist at events at various sites in North Yorkshire (primarily Hackfall and Nidd Gorge). You’ll help us to set up the Woodland Trust stand and arrange displays (and take them down!) and to engage with people visiting the stall. In this role you will have the opportunity to utilise your communication and people engagement skills to work alongside other volunteers, to engage with the public and support event delivery. 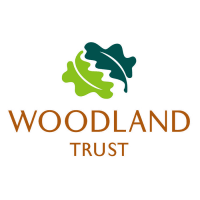 Your natural enthusiasm and your passion for nature will help us interact with the public to encourage them to become engaged with the Woodland Trust’s work. For further details and to apply please visit our website here.